Investing in AdWords seems easy enough. Research some keywords, write your ads, set your budget, enter your credit card details and wait for the patients to roll in. I’ve seen people literally waste thousands of dollars on seriously awful ad campaigns. Campaigns so awful that make you wonder if you would get more value burning $50 dollar bills. Honestly, the amount of money I’ve seen thrown away on AdWords campaigns could make you cry. Please don’t get trapped into making the same mistakes! I want your AdWords campaigns to seriously rock! And don’t think that you’re off the hook if you’re using an agency to manage things for you. It’s every bit as important to have a thorough understanding of how AdWords work so you can understand what the agency is doing for you. During my daily interaction with Google Pay Per Click clients, my team and I have come across 14 deadly sins that medical practices and individuals continually repeat, particularly with AdWords. Let me show you below. There is no doubt, that AdWords is a massive ad network with the potential to reach a targeted audience. 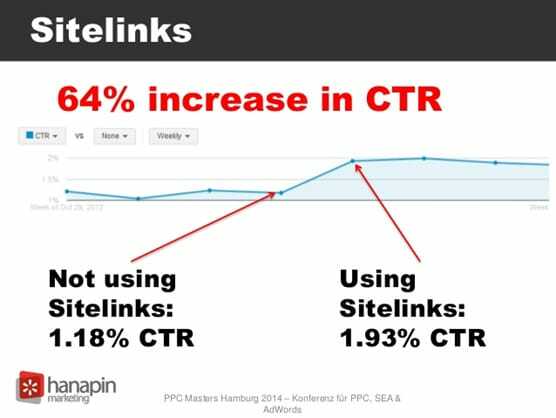 However, it’s very size and reach forces the CPC (cost per click) higher than what you may be comfortable with. If your website is not reliant upon high traffic volumes or your advertising budget is limited, Adwords may not be your best bet. There are many other ad networks that could deliver what you need at a lesser cost. While there are numerous success stories about advertising on AdWords , it’s important to realise that success with AdWords doesn’t happen overnight. Many of the major medical practices working with AdWords have huge advertising budgets – expecting similar results to them is simply not realistic. If your monthly ad budget is around $1000, you’re going to have to lower your expectations. Successful long term ad campaigns cost a lot to test, run and monitor. 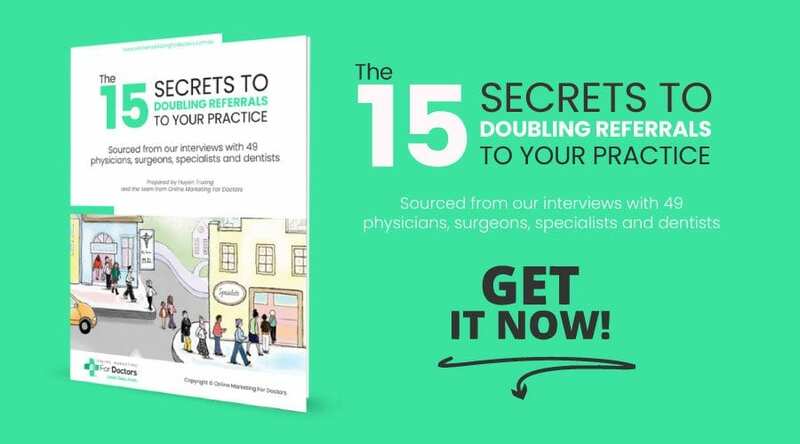 Are you guessing how much your patients are worth? How do you know if an AdWords campaign is profitable? Do you think spending $50 per conversion is a good result? How about $100? In truth it doesn’t matter what you think, it matters what the numbers say (again). A profitable advertising campaign is one where the lifetime value of a patient exceeds the cost of acquiring that patient. You might ask yourself “how am I meant to work that out ?” Let me give you a quick calculation below. Calculate the cost of acquisition so that you can have a good yardstick to measure your campaign performance. It could be return on advertising; it depends on what model works for you. In any case, don’t just guess when it comes to advertising dollars. How much money are you prepared to spend trying to make a single ad group profitable for a product? You need to be disciplined enough to stick to your advertising limits and move on to better opportunities. Beware of overbidding for position 1; it could negatively affect your Quality Score. Here is why. The Quality of Score is dependent upon the Ad Click Though Rate (CTR). When you are on position 1, Google expect you to have a certain high CTR. If you don’t meet that expectation, Google will penalise you accordingly. This will mean that you will pay more than you should, driving your CPA (Cost per acquisition) sky high, and destroying your PPC budget. Number one is not the be all and end all. Focus your efforts on being listed in other prominent positions that don’t cost you as much. In many cases, positions 2 and 3 will deliver a better ROI than position 1. When you leave all keywords in one ad group, your ads will display for all those keywords but will have the same ad copy displaying for all keywords. In an ideal world, you should have your ad copy to match the keywords people are searching for. You need unique ad copy styled to match closely related keywords. Even though AdWords ’ new extended ad copy gives you more space to make your sales pitch – 60 characters for 02 headings and 80 characters for description, PPC ads, only give you a split second to attract the patient’s attention enough to get them to click through to your site. This is almost impossible, unless you’re leading with your unique sales proposition. What is your point of difference compared to others in your niche? What benefits can you offer that will make visitors want to hire your medical services instead of your competitors? Why is your offer better than your competitor’s? The secret is to let your ad copy tell your users. For a keyword like “vet hospital”, you don’t need to tell people you offer veterinary services; they already know, they’re searching for a vet for their pets. You need to tell them why your services are better than the others. 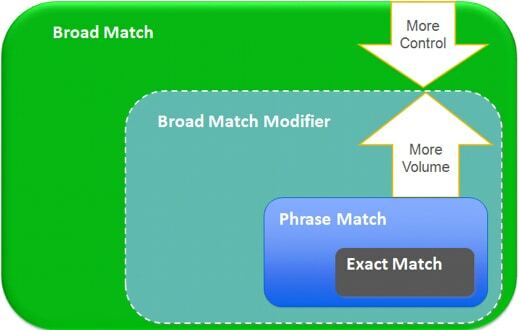 You need to learn how to use the AdWords match types correctly. There are three match types: broad, phrase, and exact. A phrase match will give you a more targeted result. Again, we use the “plastic surgeon” example, but use the phrase “breast augmentation plastic surgeon” your ads will display for “Who is the best breast augmentation plastic surgeon” but they won’t for “Who is the best plastic surgeon for breast augmentation” For your ads to display you need a search enquiry that matches your phrase in order without matching the surrounding keywords. As the name suggests, exact match is even more targeted. “Breast augmentation plastic surgeon” will be the only phrase that generates an ad display for you. Even if someone types “find a breast augmentation plastic surgeon” your ad will not display to them. 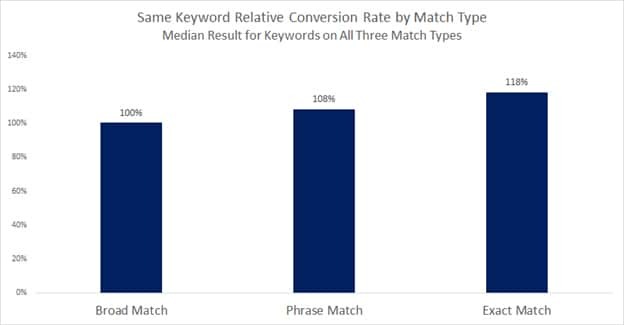 Studies support this fact: Exact match targeting converts best while phrase match targeting, converts better than broad match targeting. When you learn and then master the right matching options for your keyword phrases you are well on the way to making AdWords a profitable exercise . Once you’re confident in these areas you can move on to modifiers. If you are working within a limited budget or are trying to drive highly targeted sales or leads, it’s often less risky to target keywords using Phrase, Exact Match or, if you know your stuff, Modified Broad Match. It’s also much more transparent when it comes to measuring success. Using negative keywords will help you to effectively use phrase match keywords without eating into your advertising budget with keywords that will have no positive impact on your campaign. A negative keyword behaves in the same way as a keyword you may have targeted but has the opposite effect. AdWords gives you the flexibility to filter out all the keywords that are not relevant to your medical practice. Take the time to analyse your practice and spot the negative keywords that will impact on your campaign and include them at both the campaign and ad group levels. 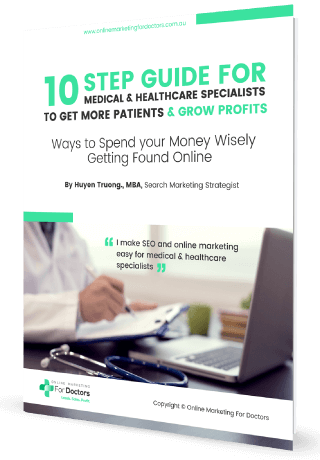 By doing this, you will save money that would otherwise be wasted on clicks that are not specifically relevant to your medical practice. Click through rates should also improve, as your ads will be more targeted. 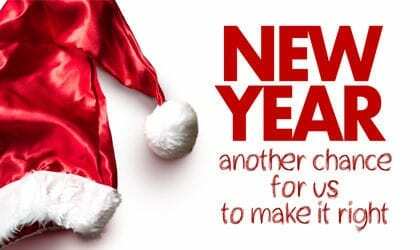 There is a great list here to peruse but treat them with caution. If you unintentionally negatively target a keyword or phrase, then you’ll be hiding them from the user. AdWords ads appear at the top of Google above the organic results. When someone searches for your practice, your site should appear in the first spot of the organic results. Competitors could target your practice with ads with a view to undercutting you on your own branded search results. 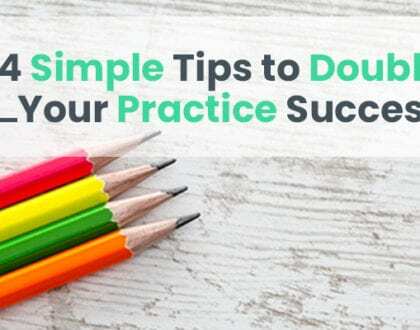 Regardless of what you think of this dubious practice, the reality is that it happens. To make sure that this does not happen, you should be running ads targeting your own brand constantly. In all likelihood you won’t be the first medical practice owner in your niche to use AdWords . In this case, competition isn’t necessarily a bad thing because you can learn from their practices. Not only can you discover which keywords that they apportion of the majority of their time and budget on, you can work out which ones are converting best for them. These keywords are sure to be the best performing ones for your competition. Particularly if they’ve been using the AdWords platform for some time. A common mistake for many advertisers is to send all ad clicks to the web site homepage. However, in many instances, the homepage is not optimised to capture the visitor’s attention. As the visitor may not find what they are looking for, they are likely to navigate away from the homepage, effecting your bounce rate and quality score. This error has the double negative impact of losing the patient and increasing the AdWords charge per click. To combat this, you can create a landing page which can be designed to cater for the searcher’s specific requirements. The important thing here is not to include the same information in the landing page as you have supplied on the homepage. It is critical to understand that users have clicked your ad in response to a particular query they have. Always try to ensure that you satisfy their needs. Mobile users search and engage differently than they do on a Desktop or Tablet and because of this, you need to consider a mobile audience when you create your campaigns. This covers ad copy all the way through to extensions and even some targeted keywords. A/B Testing. It’s said often enough by marketing experts, but what does it mean and have you done it? The whole concept of testing variations within an ad campaign to increase results remains a mystery to most small practice owners and marketers. It is vital that you choose one Ad part to test at a time. So you can measure results and understand which tweaks lead to better results. Don’t try multiple variation testing, especially when your website is not big. There are many articles online that recommend that you need at least 1000 clicks over a period of one month to gauge the significance of your testing. The reality, however, is that most of our websites (or budgets) don’t have the luxury of being able to spend thousand of dollars on testing ad campaigns. I think if you could get 100 – 200 clicks in 1 or 2 weeks time, you would have pretty good idea whether the testing element is working or not. How can you run an effective AdWords account if you don’t know how it is performing? How can you make optimisation decisions without all the available information? You can’t! Google AdWords allow you to link your AdWords account to your Google Analytics Profile and Google Webmaster tool. My advice is to use one Gmail account for all these accounts (AdWords, Analytics, Web Master Tool, Google Plus Local). This then allows the account to collect much more data that can be used to decide which terms are performing well and which are in need of some attention (or pausing). AdWords may show that a particular Keyword has a great CTR but when you dig deeper, say in Google Analytics, you can see that the term doesn’t convert well or has a high Bounce Rate. This kind of information can really help you to effectively optimise your account and advertising dollar. It is critical also, to track the campaign performance by adding all available AdWords tracking. There are many good reasons to set up Ad Scheduling so that to optimise your campaign’s performance. We often see campaigns that are set live twenty four hours a day, seven days a week. This can have a negative impact on the AdWords account and limit the ad campaign’s potential. Business Hours – Your ad campaign need not be live when your practice is closed. What’s the point of attracting a patient if you have no one available to answer their enquiry? Limited Budgets – If you’re operating on a tight budget then it is practical to limit the time that it your ads are live each day. You can structure your campaigns to be live during the prime search or buying times for your medical practice. International Campaigns – Depending on your practice, it is possible to target your campaigns to be live in different time zones or countries at different times of the day. Neglecting to set up Ad Scheduling can drain your precious ad budget on visitors that are less likely to convert in to patients. Your ad can gain greater prominence with Ad Extensions. Even when your ad is placed in second position eyes will be drawn to your ads. Your ads will be larger, provide more detail and better descriptions. Going the extra mile will get higher click through rates: Another part of your ad that can be optimised is extensions. These are special links and icons that you can use to highlight your ads to improve click through rate and conversions. Some will get picked up automatically, (like star ratings, if you meet the standards). In addition to generating much more attention, sitelinks have greater for searchers. The best part is that you pay what you normally would, unless searchers click on one of the sitelinks. 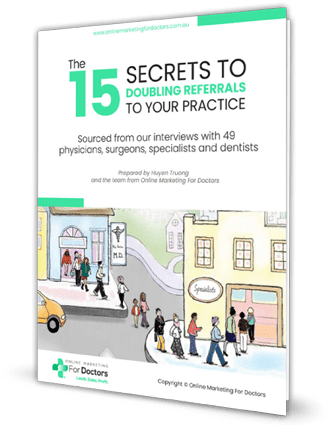 I have outlined above the 14 most common deadly mistakes that a lot of medical practice owners or marketing professionals have made with AdWords. My recommendations will help you optimise your campaigns and avoid these common pitfalls that most people encounter with AdWords. Are you making any of these common mistakes? Is there anything that stood out or that didn’t make sense in my article? Ask a question or leave a comment so we can discuss! I’d love to hear from you.